not to cause Breakouts!Traditional makeup wearers are all too familiar with the horrors and the backlash of typical liquid and cream foundations. No matter if it’s a $10 or $65 foundation, the skin issues are the same. Even regular pressed powder foundations have a myriad of ingredients that will leave any complexion with breakouts and blackheads. And, the new onslaught of oil free air spray foundations are not an improvement. Oil is not the only culprit for wreaking havoc on skin.Consequently, there has been tremendous buzz around mineral makeup for years. Mineral makeup is an excellent alternative to achieving a more natural look for millions of women as well as preserving the integrity of your skin. The proper blend of minerals will deliver excellent coverage with a more natural appearance over traditional liquid and cream foundations or the heavy made up look of non professional airbrushing. Loose mineral makeup is famous for being challenging to apply, difficult to match skin tones, messy, and time consuming. Some mineral powders contain high concentrations of certain types of minerals, like too much Bismuth, which can leave the complexion with a shiny, metallic appearance that is anything but natural looking. Unfortunately, this gives first time mineral users a bad taste over all. The good news is that not all mineral makeup is created equally. Perfect Pigment is the fastest, easiest makeup system on the planet. It’s so simple and easy to use every woman can makeup her entire face with One compact, One brush, in One minute! Perfect Pigment can be purchased alone or in five piece kits. Each kit is color coordinated for your skin tone so you don’t have to guess which colors work with what shade. 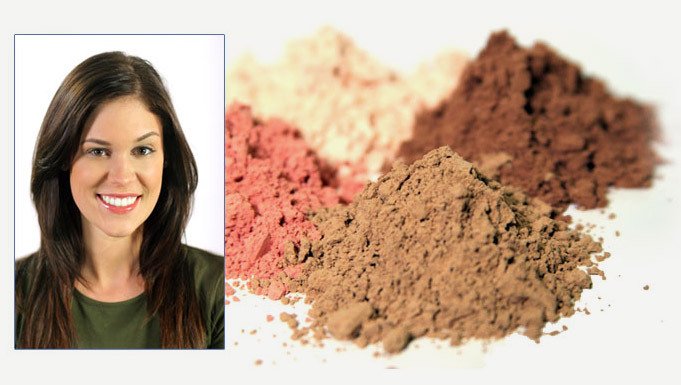 Perfect Pigment also eliminates the expense of needing to purchase multiple cosmetic products. Each kit comes with one compact, one retractable brush, one companion concealer/highlighter, and one companion lip gloss. It’s simple & easy! We’ve listened to thousands of our customers who have requested skin care, too. 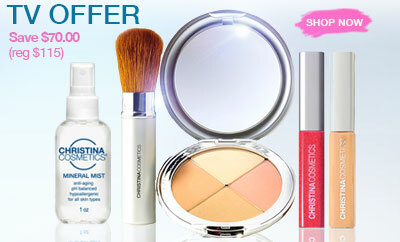 Christina Cosmetics has now launched an extraordinary new skin care line. Our new 3 step spa collection is sulfate and paraben free and formulated with botanicals and extracts to nurture, calm, and rebalance the skin. By the time most women come to us they have had so many issues with cosmetics they are at their wits’ end. They are breaking out and it’s now so far along they’re not sure where the problem began. We are offering an affordable, easy solution to make a fresh, new start. Stop using everything you’ve been using and just use our simple 3 Step Spa Collection with the Perfect Pigment mineral makeup and you will be on your way to healthy, happy skin! For more one on one information, call customer service at 800.543.7207 M-F, 9-4 PST. If customer service representatives are busy voicemails will be returned within one business day.